USA Dragon Boat Team competing in Szeged, Hungary in 2013. 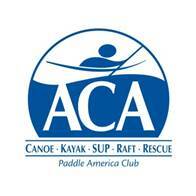 The American Canoe Association (ACA) is a member based, national nonprofit organization serving the broader paddling public by providing education related to all aspects of paddling; stewardship support to help protect paddling environments; and sanctioning of programs and events to promote paddle sport competition and recreation (aka FUN!). The heart of the ACA is the people who paddle, cherish, protect, and enjoy the diverse waterways of America. Paddlesport Risk Management LLC., a Canoe & Kayak, Rowing, SUP, Outrigger, Dragon Boat Event Insurance, Cruising, Clinics & Camps and Club Insurance​. They have over 30 years of experience insuring and participating in various types of paddle sport, providing liability and property insurance for clubs & associations for their year round activities including racing events, festivals, cruising, training camps, as well as physical damage coverage for their precious boats, the team at Paddlesport Risk Management, LLC are considered experts in this field and can offer sound advice, risk management and excellent customer service to ensure you have peace of mind while participating in the sport you love.